Since this was first published over 18 months ago (in September 2017), things have changed. Boy, have they changed! Not only in my own business but in many of the businesses of the women that I’ve been crushing on. So I thought I would update it! As many of you know, my own journey within the health, nutrition & wellness industry has been a wildly winding one. However, through it all, I simply could not have kept chugging along building my business without the motivation, support, and guidance of certain people – those who I would consider mentors and influencers in both my personal and business life. Because I am so uplifted and empowered by the concept of “community over competition”, I reached out to many of these women, and was so thrilled to have them contribute to one mega round-up article for YOU — my deserving lemonade crew! That it’s imperative to surround myself with extraordinary women. 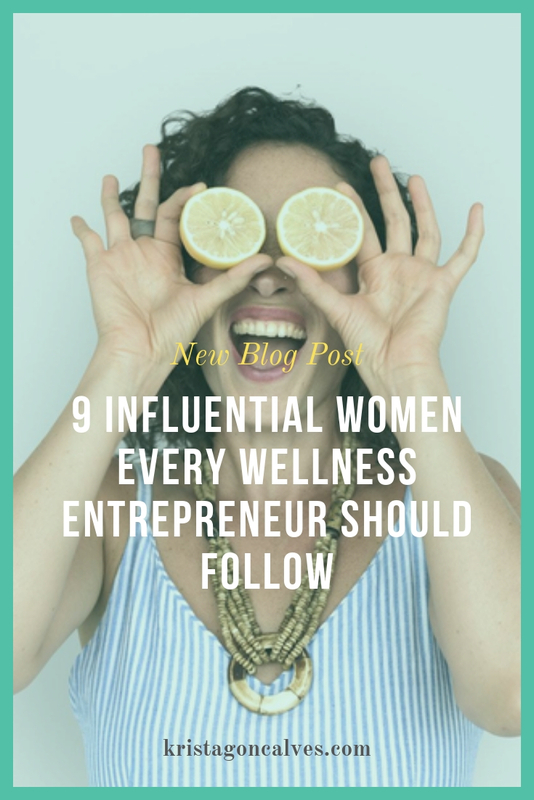 I chose each of these amazing women for a variety of different reasons, but they are the top lady bosses in the wellness industry that I personally follow, and have am so grateful to be connected with – and I think you should too! Who are you, what is your business about, and who is your target audience – who do you help? What is your key piece of advice to newcomers to the coaching/health practitioner space – what is something you wish you knew when you first started? What is your favorite mode of engagement with your tribe, and why does this type of connection work for you? Their answers are sure to motivate and inspire YOU to keep rocking on in your own wellness business. Oh, and did I say there was only going to be 9 lady bosses highlighted?! Well, there are actually TEN because I just couldn’t limit the list – it was bursting at the seams with juicy wisdom nuggets!! Having FREEDOM is one of the things that’s most important to me. After more than 9 years, I sold my fitness business to a professional soccer player, and now I’m able to focus on sharing my experiences and helping others to build a business that creates a positive impact, financial freedom as well as lifestyle freedom – like I was able to do in my own business. I work exclusively with fitness pros, health coaches & wellness pros, not only because that was my field of study in college and my passion… but I truly believe we have one of the most IMPORTANT jobs in the world. We’re out there every day trying to make people healthier, more confident, and more excited about living life. In a nutshell, I help fitness and wellness pros save MASSIVE amounts of time by creating high-quality, engaging, valuable content and systems they can rebrand and use in their own business. This includes transformation challenges and programs, workshops, social media content, email newsletters to help build and nurture leads and clients, as well as the systems and processes to run the business on the inside. My best piece of advice to newcomers (and veterans too!) would be to define your boundaries. If you’re not careful, work can take over your life. We love what we do and we LOVE our clients, but we also need to make sure we take time for ourselves and our families…. and to never feel guilty about it. Keep your workouts on your schedule like you would a call with your clients. Same with your nutrition. We all know we need to do these things, but it’s too easy to go down the rabbit hole… especially when you’re just getting started. Also, be sure to set the same kind of boundaries with your clients. Like when you will (and won’t) be available, what is in the scope of your work together, etc. That said, be sure to always go above and beyond for your clients, but just make sure it doesn’t come with personal sacrifice…. because that’s not good for anyone. I LOVE my Facebook Group, Fitness Business Freedom Formula! It’s been a great way to engage, build relationships, and connect virtually with all of the AMAZING fitness and wellness professionals in our community! I’m able to reach out to a large group of people in real time, engage with my community, deliver valuable content AND have fun with it all at the same time. 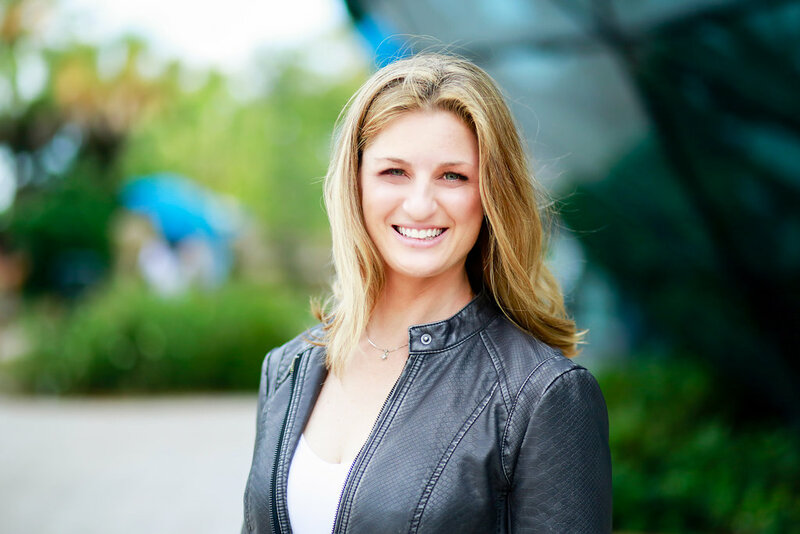 Alicia specializes in helping fitness pros systemize, automate, and scale their businesses. She empowers others to build businesses that give back to the world while creating financial freedom and a life they love. Alicia has built multiple six and seven-figure businesses from the ground up, and now teaches her success strategies and systems to other health & fitness professionals. Connect with Alicia – and learn more about FPA! Before I got into the wellness industry, I managed multi-million dollar deals and mentored sales teams for global IT Companies. When I started in wellness, I became a Certified Health Coach and Children’s Nutrition Expert and found that along the way my peers were struggling with technology and getting business support. Now I am the “Fairy Godmother to coaches”, helping them find their voice online with stunning website design and content that wins the hearts of their ideal clients. When I first started out I wish someone would have just said to me to ignore the marketing noise and know that it doesn’t have it be perfect in order to get it done. Entrepreneurial business, especially coaching, is about trial and error. It’s about failing and getting back up again, learning after each step. I felt like I had to be a certain way, or do certain things because every other coach was doing it. It made me feel like I wasn’t good enough. If someone just said to me – your success path lies in listening to your own voice – I know I would have been more focused in my approach to building my business. “Comparison blues” is a killer in business, and I still occasionally find myself deep in comparison mode, but I’m quick to pull myself out of it knowing that my journey is my own. When it comes to connecting with my community I can’t ignore my Facebook group. To be honest, I hate email marketing. It makes me feel nervous thinking about it even though I know it’s essential for my business, but I love the personal interaction and hands-on approach to being a part of my community and empowering others on a daily basis. Offering support and guidance each day means that coaches can feel empowered without feeling like they need to cough up money each time they need the help. I share insights into building a coaching business online, have free tech support days and best of all, give away free content when I can. Without a doubt, it’s my favourite place to hang out. Knowing that I’ve helped just one person each day, lifts my business in ways I can’t describe. With that said, I have just re-launched Content Club for Coaches, and that is fast becoming my favourite way to connect. I want to change the game when it comes to building a coaching business, and this is my way of doing it. Now the “Fairy Godmother” to Health & Wellness Entrepreneurs! She lives in Thailand with her husband and young daughter, and it was in creating two of her own coaching businesses that she discovered she had all the knowledge and technical skills to help other coaches get off the ground running! I started out as a brand new health coach that had to figure out the best way to structure my business and help my clients. Through trial, error and then success, I now get to share what I’ve learned, so other wellness professionals can side step mistakes and fast-track their growth. My done-for-you tools and resources help health coaches feel more confident and empowered to help their clients reach their goals, while they streamline their business. There are so many things I wish I knew when I first started! I’d have to say one of the most important ones would be to narrow your focus, so you can be more consistent. I have to frequently remind myself to put my blinders on, so I don’t go down another rabbit hole. This is easier to do when you have a plan in place, and you stay focused and committed to the plan. My favorite way to engage with my tribe is through email and my Facebook group. I usually use my blog post topic as the topic of the week to stay in touch with my email subscribers too. I share tips and strategies each week that are easy to implement, so coaches feel like they can make progress, and achieve small wins along the way. It’s the best feeling to hear from people after they read your email or your blog to let you know how much they appreciate it. I have a fantastic Facebook group, where fellow health and wellness professionals can come together to support and encourage one another, and it’s something I love facilitating and being a part of. The synergy and camaraderie of the group is something very special, and I know my tribe appreciates it. My most recent favorite way to engage with my audience is actually through a brand new podcast that launched in July 2017. The Wellness Business Podcast is hosted by Karen Pattock and myself, and we share weekly business-building tips, plus include action steps to take, so listeners know what to implement. It’s something we’re excited to do, and the positive feedback keeps us motivated to keep delivering more great topics. 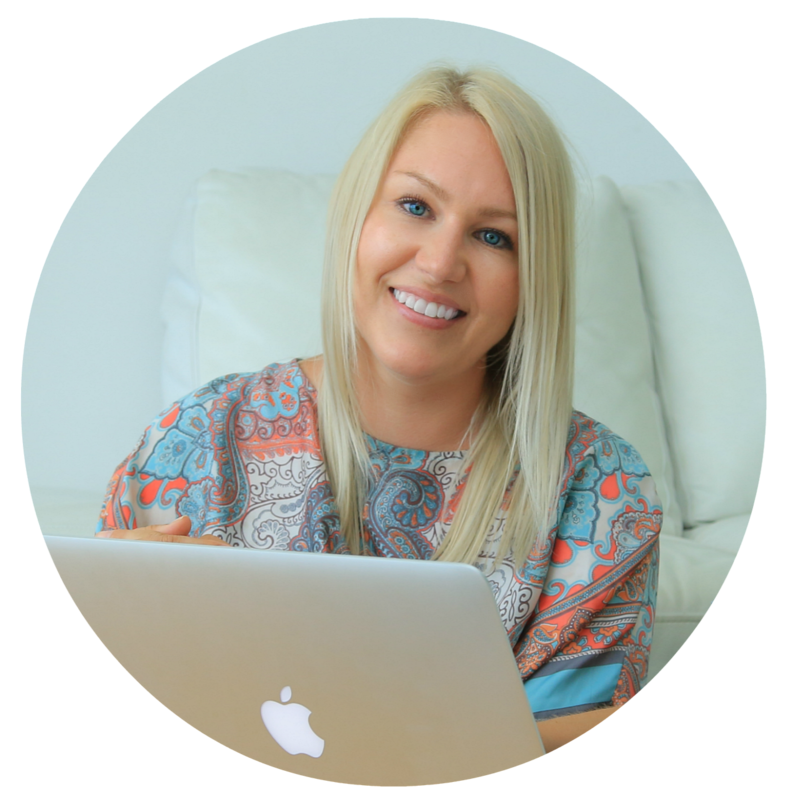 She has helped thousands of health and fitness professionals around the world transform their business, get out of overwhelm and generate more revenue. Her customizable programs are used by health coaches, fitness trainers, naturopathic doctors, and other wellness professionals to empower them to change lives on a global scale. Karen Pattock – Make a difference. Make a living. When I graduated from the Institute for Integrative Nutrition (IIN) and started my Health Coaching business just five short years ago things were very different then they are now. Facebook for business, the way we know it now, was just really getting rolling. Instagram and Snapchat weren’t even in existence yet. And frankly, I had no idea how to use the internet to promote my business. What I did know for sure though, was that Facebook was going to be a game changer for small business owners like me and I needed to figure out how to capitalize that platform as much as possible. I also knew I needed to do a bit of internal work before I could move forward on Facebook. I needed to get comfortable in my own skin because I was 100% the face of my brand. It didn’t happen overnight, but gradually over time, my confidence level grew. I became more comfortable with my image being promoted everywhere in connection with my business. I realized that my ideal clients wanted to hear from me and more importantly – work with me. My favorite way to connect with my tribe is with Facebook Livestream. It’s real, it’s timely and allows me the chance to build a relationship with my followers that I could never do with email. If you’re just starting a wellness business and are looking for one strategy to get started, I highly recommend Facebook and, more specifically Facebook Livestream. The key factor to this strategy working for you is finding a way to get comfortable in your own skin, get in front of the camera and share your valuable information on a consistent basis. KAREN PATTOCK is an International Business Coach and Educator. She specializes in Email List Building and Online Client Conversion Systems designed specifically for the Wellness Business Owner. 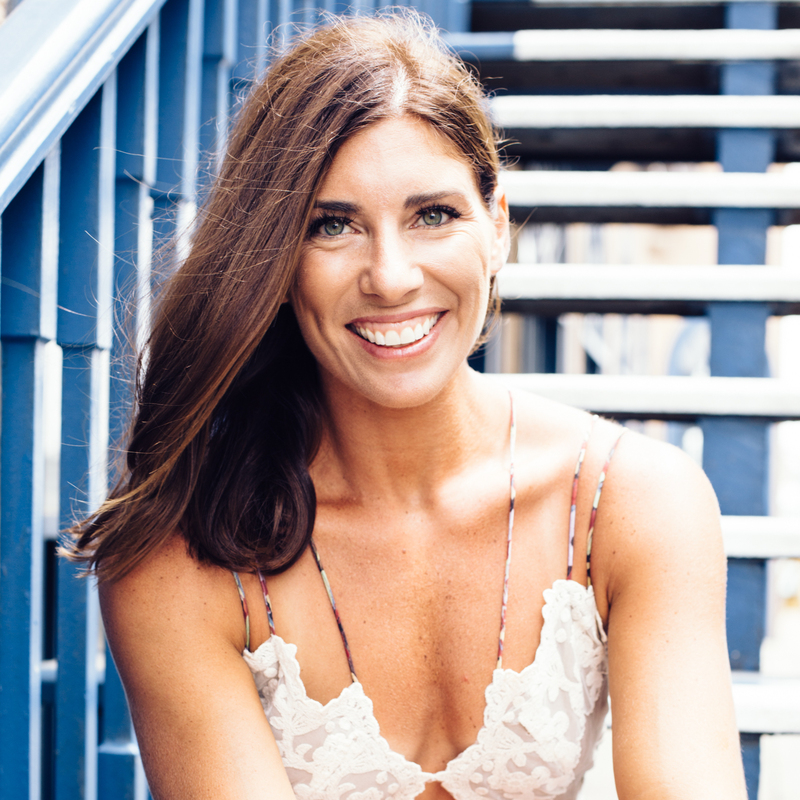 She is co-creator of The Wellness Business Insider’s Club and also is the co-host of The Wellness Business Podcast – both with Kathleen LeGrys. 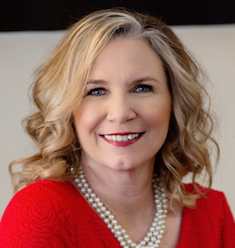 Karen is known as the “In The Trenches” Coach because she not only teaches her clients the ‘what’ of online marketing, she also dives into the ‘how’ that it takes to accomplish their revenue goals. Karen openly shares her marketing knowledge and expertise with her clients so they too, can build successful online wellness businesses. Simple strategies to get started livestreaming today! I’m first and foremost a mom. I’m also the founder of The Wellness Business Hub, an online platform that delivers personal development and professional training for health practitioners all around the world. My real-world approach to business is built into my online courses and live events. My signatures… the ‘Wellness Business Academy’ and the ‘Wellness Business Summit’ are founded on growing a powerful community of leaders in health transformation who work with Team LK to achieve our “1 million mission”. Outsource before you can quite afford it. Early on in my own business, I hired a business coach to look at things from an outside perspective and point out a few ways to take everything to the next level. It quickly became clear that if I wanted greater rewards, I’d need to take bigger risks. Most of those came in the form of hiring help, namely a virtual assistant, a video editor, and my own publicist. At the time, these looked to me like expenses I couldn’t easily afford, but I took a chance anyway and it soon paid off. Facebook Live is a great way to connect on social media for interviews, teaching and doing live Q + A’s, plus you can transcribe your FB Live and turn it into a blog post and a week or two of social media posts as well – I’m a big fan of repurposing and using content more than once in creative ways! 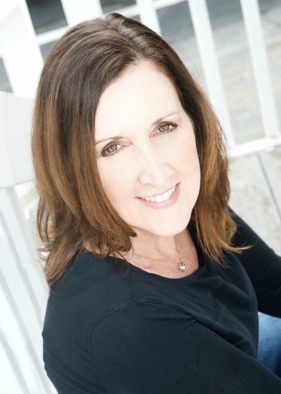 LORI KENNEDY is a Registered Holistic Nutritionist, Strategic Business Coach & Founder of the Wellness Business Hub. 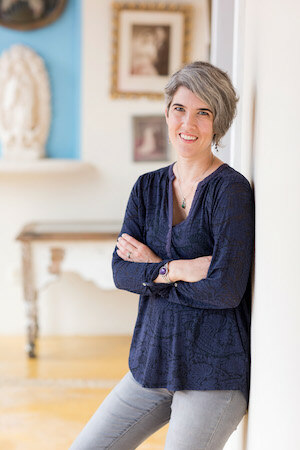 She was inspired to create The WBH because, after years of learning, implementing and running successful offline and online businesses, Lori recognized that there was a massive gaping hole that health & wellness practitioners (health coaches, energy healers & fit pro’s) fell into immediately after graduating from whatever program they had just completed. It is the intention of the WBH to provide a place for you to feel comfortable, supported and mentored on a daily basis so you can build a thriving career in wellness – all on your own terms. I live in Carrboro, NC with my husband and 2 girls. I’m a health nut and former health coach. My company, Marketing For Health Coaches, helps newer health coaches launch their businesses and get clients by using our done-for-you health coaching programs, done-for-you content, and business building training. When I was a health coach, I was so concerned about doing everything I was supposed to be doing. I wanted to ensure that my business was successful, so I did everything I could to get clients. I thought “if I do x, y, and z”, that will guarantee my success. 1. I was working very hard and spreading myself too thin. 2. I didn’t get really skilled at any one thing. 3. I was spending time and energy on strategies that weren’t effective for me, nor were they a good fit for my personality. But because I was taking action and checking things off my to-do list, I thought I was doing the “right” thing. By doing this, I could have dove deep to learn how to implement those strategies more masterfully – an example of this would be focusing on giving one amazing client-getting talk. If I had focused on this particular strategy, I could have perfected one talk topic that I loved speaking on and that attracted my ideal clients – rather than putting together 5 different talks! I could have become more skilled at booking speaking gigs at groups and venues that were a terrific fit for me, rather than speaking everywhere I could. And, I could have refined my ability to motivate people to sign-up for initial consultations after my talks. Marketing your business takes work, but it can be fun, especially when you’re focused – rather than feeling overwhelmed by countless strategies and experiencing great results from your efforts. Right now my favorite mode of connection with my tribe is email. I’ve identified that writing is a strength of mine. I enjoy it and I find I’m able to express myself well when I write. Lately, I’ve found that more and more people prefer to have content right in their inbox vs. having to click through from an email to my blog. Convenience is huge, so I’ve been putting my blog content right in the email, while also giving them the option to click through to the blog so they can choose what works best for them. 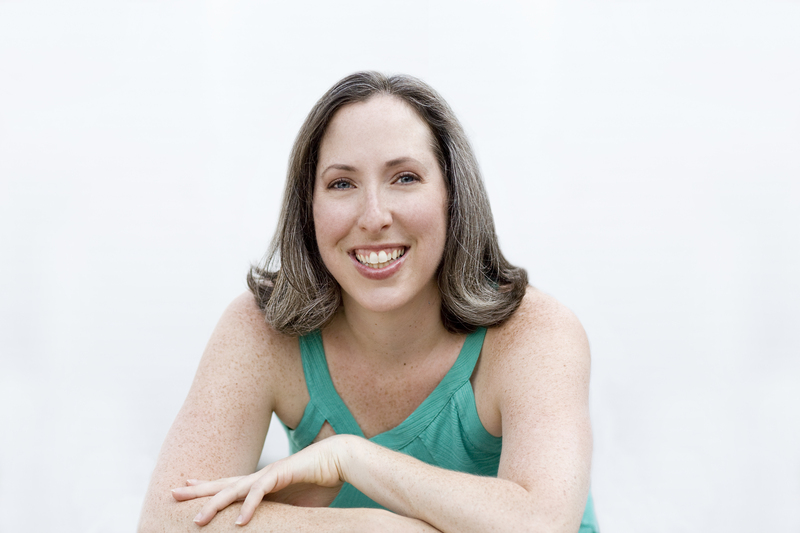 AMY LIPPMANN is a former health coach and self-proclaimed health nut. After 5 years as a health coach, Amy merged her marketing roots with her passion for wellness by launching her company, Marketing for Health Coaches, where she’s helped thousands of health coaches and nutritionists get clients, create high-converting websites, successfully launch online programs, and grow their lists. I teach wellness entrepreneurs around the world to grow their business through digital marketing in my Wellpreneur Marketing Bootcamp, and I live in London and Hong Kong. I’m also the host of the wellpreneur podcast as well as the author of wellpreneur, which teaches how to bring more of the right people to your website and turn them into paying clients. Don’t spend so much time thinking and planning the ‘perfect’ business when you’re just starting. Start working with clients right away. It doesn’t matter how much they pay, as long as they pay something – you just need to start working with people. Taking that kind of action with real clients is what brings clarity. Then we’ve also created a community group on Facebook for the podcast listeners. So, those two are my favorite ways to interact – first the podcast, then to engage and discuss each episode in our FB group. 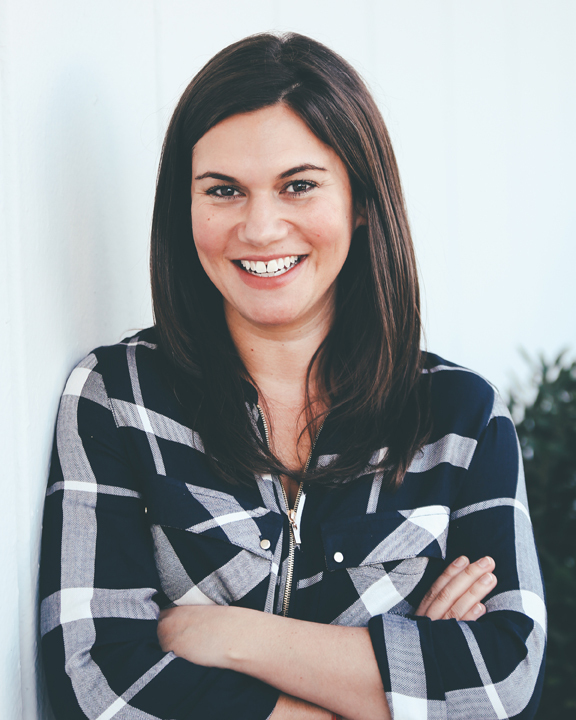 AMANDA COOK is an author, podcaster, ancestral herbalist and digital storyteller who helps women turn meaningful work into personal freedom. She hosts The Wellpreneur Podcast which has over 20,000 downloads per month. She’s also the author of the bestselling book Wellpreneur, and its take-action companion, The Wellpreneur Planner. Amanda has appeared on Huffington Post UK, BBC Radio 4, The Sunday Telegraph, Natural Health UK Magazine, and MindBodyGreen. She lives in London where you’ll find her foraging along the Thames. I work with clients to build awareness, buzz, and credibility for their businesses by getting featured all over the media – from websites to podcasts, all the way up to magazines and TV, in order to get in front of their ideal client and become the go-to expert in their industries. Having worked in the PR industry for 10 years, in agencies, in-house, and with startup brands, I was inspired to launch my boutique agency and website — where I teach business owners how to do their own PR. It broke my heart to see so many business owners who are passionate about making a positive difference in people’s health have to close up shop because nobody knew who they were. This is a way that I can help these entrepreneurs get seen, get clients, and get paid. The best piece of advice I can offer to newcomers in the health & fitness coaching/health practitioner space — is to precisely position yourself. It sounds scary to be so specific and like you could be cutting off a lot of potential clients, but… through specific niche-ing, you’ll actually be way more attractive to your ideal client! I love to connect with my tribe in my private Facebook group. It’s so fun to share a bit of my personal life on live videos, to host exclusive interviews, and actually engage with people through conversation in an intimate group. Something I’ve created to help fitness business owners get in front of their ideal client while also building their own credibility is my (free!) five-day Pitch to Podcast Challenge. In less than 10 minutes a day, I share how to find the right podcasts that your ideal client is listening to, how to find and connect with the host, and then successfully ‘pitch’ yourself for an interview. Any business owner who wants to stand out from the crowd and be more attractive to clients should definitely check it out, especially since it will be turning into a paid product soon. 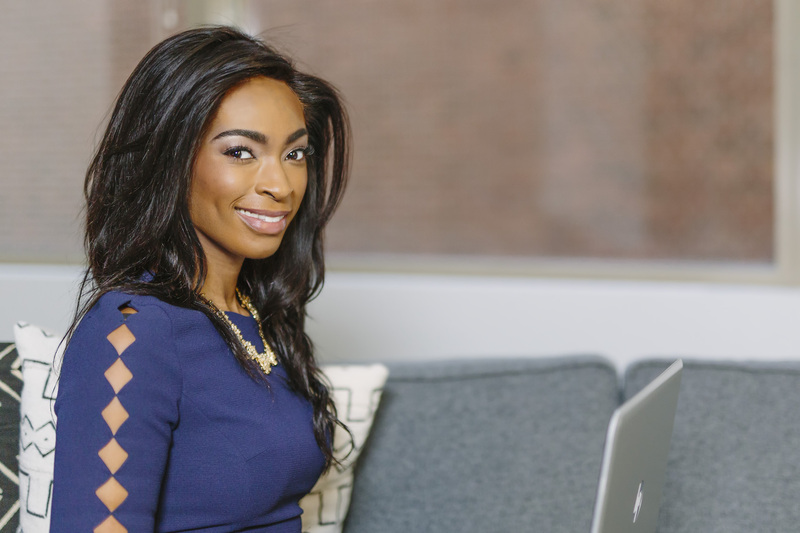 She has spent more than 12 years as a publicist for health, fitness & wellness businesses, ranging from homegrown start-ups to international, multimillion dollar corporations. She helps business owners go from ‘unknown and underpaid’ to ‘standing out and selling out’. I live in Florida with my rad family: my husband Scott, and my kids, Max and Sammy plus my awesome assistant, Esther, my super pug. I am an autoimmune warrior, who left my multi 6-figure commercial real estate gig to pursue my dream of being a health coach. I took her advice and created groups online and offline, do-it-yourself programs, low-cost offers, and opt-in freebies to test my market. She changed the game for me. I hit 6 figures by year 3 and became known as the gut and detox expert. Today, I help people like you, health and wellness professionals, who were like me: starved for time. We create done-for-you programs, done-for-you business trainings, content, blogs, workshops, newsletter and more because we know you don’t have time. You need to spend this time building authority! When I was a health coach, I was struggling with my autoimmune, had little kids and was scared. I wanted to make that promised $150 an hour. EEEK! I almost quit 20,000 Million times over but I didn’t. Today I help coaches to get back to the basics. By doing this, you can focus MORE on relationship building, connecting and getting to know the problems your ideal clients struggle with. What if you took 3 days to speak to 15 potential clients instead of spending $500-$1000 on Facebook ads to test your market? If you are a new coach, ask your friends what problems they experience and craft your offers around the problem. If you are a seasoned coach, spend time optimizing the funnel that ACTUALLY works. I wish I would have spent less time doubting myself. I am a recovering perfectionist. I have worked hard to stay in my own lane. I was lucky because when I began coaching we did not have as many options. We were just told to “show up”. As for connecting with people, this is where I see coaches getting stuck. We don’t know WHERE our people are, so my suggestion is this: TEST! Test the different platforms and look at your analytics. I love Facebook and have a free group. In the beginning, I used my personal page to build authority and I did “selling” from my business page. However, I am really digging Instagram these days. Here’s the deal… give yourself permission to create your own signature path. Done for you anything gives you a template, but it is your magic, your soul, your journey and your belief in what you do that builds TRUST. After only earning 13K her first year in health coaching, she knew she needed to learn how to create a sustainable business built with a solid sales funnel. Rachel went from making 13K to 72K by year 2 1/2 and then broke six figures in her third year of business. She’s also contributed to such publications as Forbes, Huffington Post & Thrive Journal. Today, Rachel teaches the same system she built her successful health coaching practice to other health and wellness professionals. She’s helped more than 8,000 health coaches rock their biz to the next level making the money they deserve. 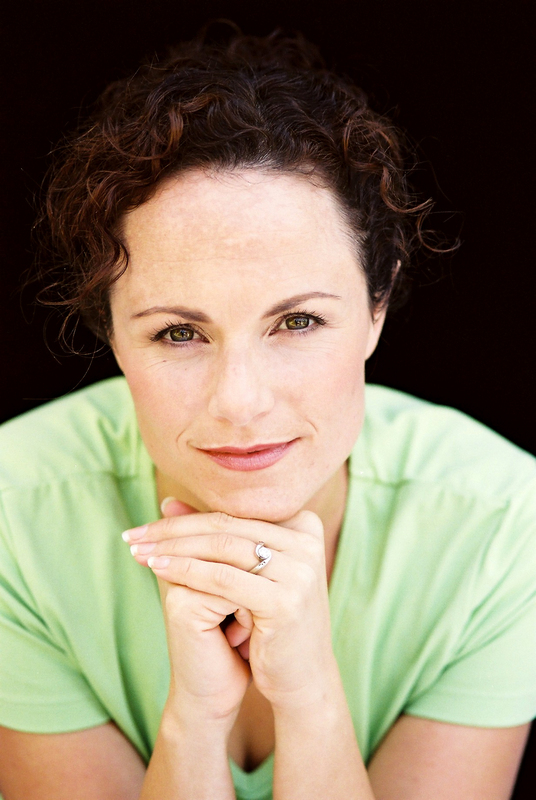 She works with coaches in her private practice and is the creator of the Done-For-You Programs for Health Coaches. She created these programs for coaches so they could spend less time creating and more time marketing their business and brand. She knows the importance of saving time being a Mom and a true CEO! Half of my business is teaching women how to create a healthy lifestyle that is stress- and shame-free, through short, efficient workouts and #moderation365 eating. The other half is working with female fitness and health professionals who want to learn how to build their online platform to create digital products and programs that make money while they sleep. I am an internet marketing geek and I love personal branding. The biggest mistake I see new fitness professionals and online entrepreneurs making is mismanagement of expectations. Just because you work for yourself and are building a business online doesn’t mean you don’t have to treat it like a full-time job, even at the beginning when you are not making a full-time salary. It’s one of the most fulfilling spaces to be in—getting to help thousands of people all over the world through your online systems—but it’s not without effort. It takes time, patience, practice and consistently showing up and implementing, even when you are busy or not feeling like it. And one of the hardest things is that just because you know fitness [or nutrition and health] doesn’t mean you’ll automatically know business! It’s a skill to learn, like learning a new language and it takes time and patience. I see many online fitness pros give up way too quickly because they get frustrated with the lack of results in the specific time period they assumed it would happen in. We are in the “trust business”, and the nature of trust is that it takes time to earn. You have to be willing to take the long view, be resilient and above all… you have to be obsessed with your message – otherwise, you’ll give up quickly. There are 2 ways I like to connect with my tribe – first off, I love Instagram for the connection. The visual quality of the medium allows for us to connect with the energy and animation of a person, and live Instagram Stories have brought out the most transparent marketing we have ever seen! And the way I see it, the possibilities for connection with each other and the depth of connection is so much greater because of this “pulling back of the curtain”. We can *literally* be in each other’s living rooms together. The second way I like to connect…I’m also old school and I love live trainings! I love teaching and I am always sharing the things I’m learning, and normally hold 2-3 live webinars each week for various groups I coach. Over the last 20 years, she has coached thousands of women to health and fitness success, and in the last 6 years has mentored over 500 women in building their online fitness brands via her flagship 11-month course, “The Best of You”. Jill’s work has been featured in Self Magazine, Women’s Health, Shape, Greatist.com, Huffington Post, Experience Life and several others. Here’s the thing Health Pro… these amazing ladies, who are totally rockin’ it – were once where YOU are! They, too, have felt the frustration and have struggled in their own wellness businesses. But, they did find the formula or recipe that worked for them and I hope that by sharing all of these influential women’s words of wisdom and motivational nuggets, that you’ll be inspired to grab life – and your business, by the lemons too! 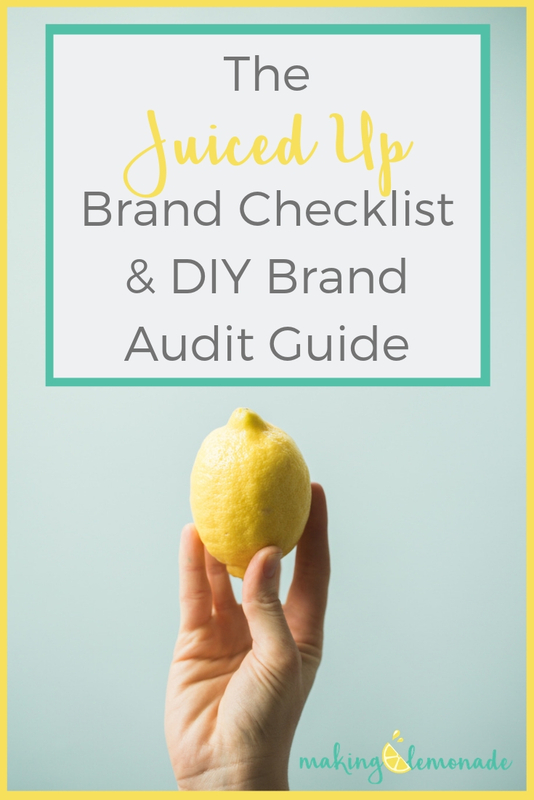 Here’s something else to get those biz + branding juices flowing!